But remember when I was counting free eBooks? Your cover is part of your signature. If you want your eBook to get noticed, you need a good cover. Don`t get me wrong, your story is important but the cover is the first thing the reader will see. You may be on a budget and you may not be a designer. Here are a few ideas to help you get an OUTSTANDING ebook cover. Quick reminder: eBooks don`t need the trim and back cover. This article is eBook oriented but you may be able to use some ideas for a full book cover. I`ll give my point of view on different tools you can use and find on the Internet to help you make the best choice for your next cover. 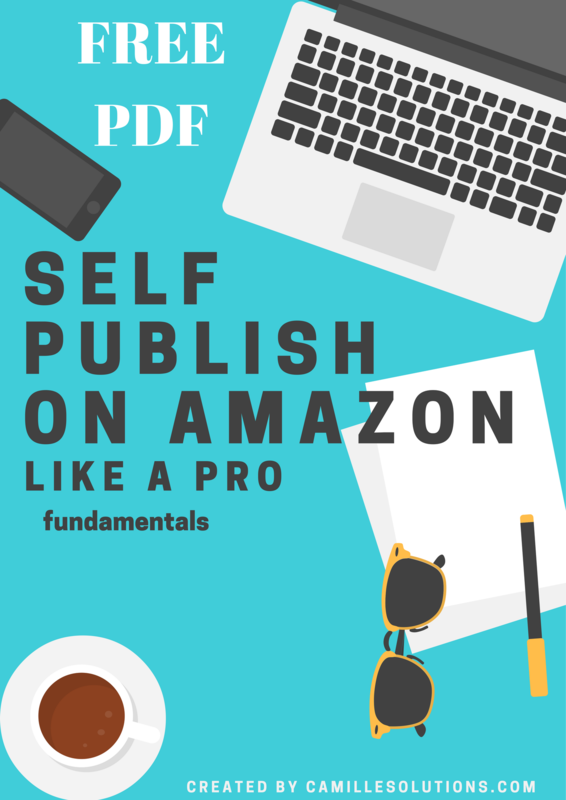 When creating your eBook on Amazon, you have the possibility to Launch the Cover Creator. Or you can upload your own cover. If you click on the yellow button, the Cover Creator will launch and you`ll be able to create an eBook cover using their designs. How it looks inside the Cover Creator. If we look at the first book, second and third one here is what we can learn. Without seeing the name of the author we already know this is a series. We know it`s SF & Fantasy (it`s written) but the cover is telling a story. This what you need to think about when you create a cover: tell a story to your potential reader. Why does he want to read this book? If he looks at the cover, he may go read the blurb and then buy your book. i.e : I like the Paper Magician Cover, I want to know more. Pines cover is appealing too and looks a bit scary. The eBooks series looks nice, but not my cup of tea, however, this is the kind of book I`ll buy for my brother and maybe without reading any blurb (I like to live dangerously). Canva is an awesome tool to design visuals and even more if you have ZERO skills. If you are following me on Twitter, many visuals (the squared ones) are made with Canva. The Free PDF was made with Canva, for no particular reason. I just liked so much the template. It has everything I was looking for, and I couldn`t find something better. If you never used Canva before, follow this link, you`ll have a tutorial. Tip: Change the background, because you may end up having the same cover as someone else. This is the only negative point. They offer a free (or membership) package to help you design your eBook cover. If you register on their website, you`ll be able to download a template and to watch a video. I tried the book cover creator and it`s user-friendly (as they said). They have a lot of tutorials to help you, so it`s very nice. If you are thinking about testing Photoshop for your next cover, they offer a tutorial here so you can get started. Regarding the membership, I don`t know how it can be interesting, but I assume it is if you write a lot of books and need a lot of covers. 4- As we are speaking about membership, there is also myecovermaker which allows you to create an Outstanding cover. It looks really awesome. They offer a complete tool to help you design you next cover. BUT you have to pay. You are free to join but you`ll have to pay to download your cover. 5- Photoshop costs a bit more than £8 a month (and includes other Softwares), the problem is: you have to know or to learn how to use it. You could also browse Fiverr and find someone to create a cover for you, or hire a professional designer. Regarding the budget on your next eBook cover, it`s up to you. If you know you are going to sell and have no design skills, spending money to get a professional looking cover may be a great idea. If you are unsure on your sales, you may want to try a free or cost less tool. You may go to wordpress.com and sign up if you wish to get a blog/website, they provide a lot of plans and pricing. I`m working on an article about “author website” for this week, keep in touch.